Everyone wants to look and feel his or her best and VASER® Liposuction can help. Are you bothered by specific areas of your body that seem out of proportion? You're not alone. From minor touch-ups to major transformations, a VASER® Lipo Treatment can help. This revolutionary fat removal procedure offers a safe alternative to traditional liposuction. 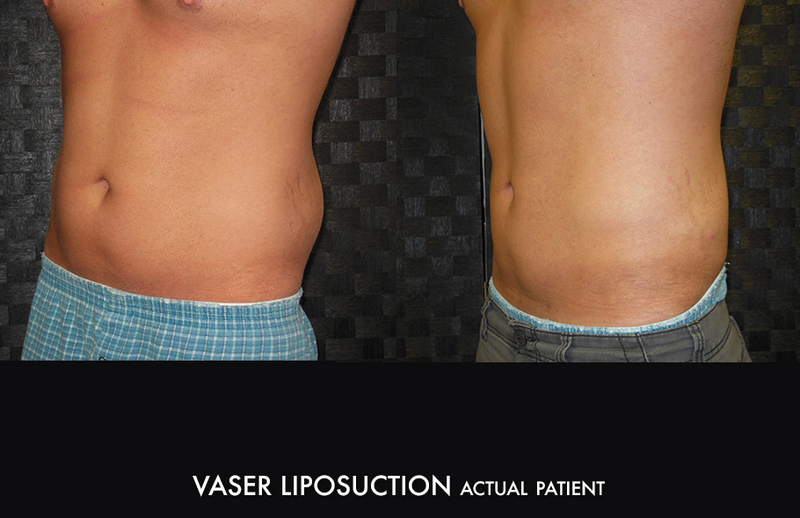 VASER® Lipo provides smooth, predictable results with fast recovery and minimal downtime. FDA-approved since 2002, VASER® Liposuction treatment allows for fat removal easily and safely: we can transform just about any part of your body. Every body type has areas that are predisposed to fat storage and even with rigorous diet and exercise, those unwanted bulges often persist. Patented VASER® technology and the advanced Liposuction technique now offer a fast, safe alternative for ridding yourself of those stubborn fat deposits to provide you with a smooth new shape. This is an awake-in-office procedure while only under a local anesthetic. VASER® uses gentle ultrasonic energy to selectively break apart fat deposits while preserving other important tissues, promoting smooth results and fast recovery. Here at Jack Zamora MD Cosmetic Surgery and Aesthetics, Dr. Jude Kirk and Dr. Jack Zamora use a unique individualized approach to treating our patients, improving much more than just the specific areas of the body that are the focus of the treatment. You will love the way you feel, your confidence will improve and you’ll gain a whole new perspective when you look in the mirror! 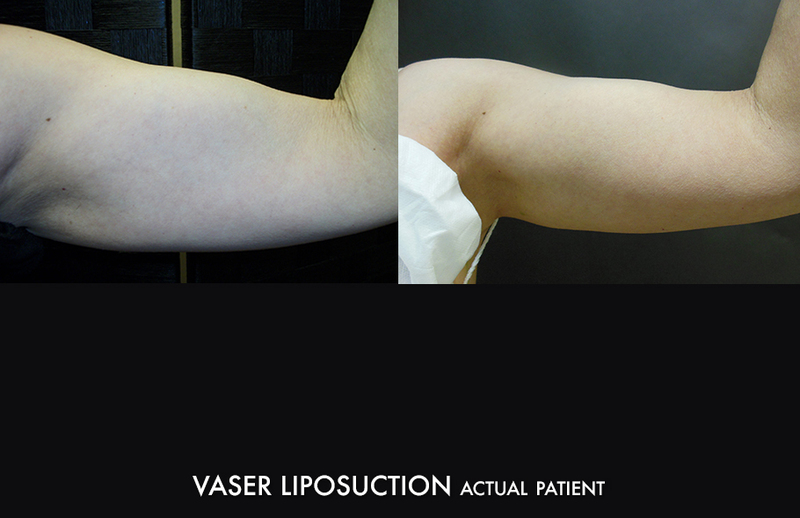 VASER® Lipo uses ultrasonic energy or high-frequency sound waves to produce superior results. This minimally invasive technique called LipoSelection is used to selectively break apart and gently remove unwanted fat. To begin the procedure, the targeted area is injected with a special saline solution known as tumescent fluid. Tumescent fluid numbs the target area and shrinks local blood vessels. It also temporarily expands the volume of the targeted area, making fat cells easier to remove. Small-diameter probes are then inserted into the body through tiny incisions. By resonating at a high ultrasonic frequency, the probes literally shake loose fat cells while leaving blood vessels, nerves and connective tissues unharmed. The loose fat cells mix with the tumescent fluid, which is then removed from the body using gentle suction. Big event in three months? Be ready in one! With VASER® Lipo, Dr. Kirk and Dr. Zamora can produce eye-catching results in just one session — without the pain and long downtime of typical liposuction treatments. Most patients report superior results in one session, and faster recovery than traditional liposuction. Plus, VASER® Lipo is clinically proven to enhance skin tightening in treated areas. The LipoSelection targets specific areas of fat throughout the body. It’s powerful enough to target large areas of fat, yet gentle enough to also treat delicate areas of the body, such as the neck and arms. Safe option for for Liposuction. Typical liposuction aggressively removes fat, which can damage surrounding tissues. VASER® Lipo is tissue-selective and specifically targets fat, while protecting nerves, blood vessels and connective tissues from damage. Patients experience minimal pain and bruising and a quick return to normal activities. Easy out-patient procedure. VASER® Lipo can be performed while patients are awake in an office-based setting or under general anesthesia. Dr. Kirk and Dr. Zamora along with their VASER® Lipo team can perform your liposuction procedure very simply as an outpatient procedure. Unwanted fat is treated with VASER® Liposuction ultrasonic energy and gently removed from the body. The procedure may take from one hour to several hours depending on the number of areas being treated. Dr. Kirk or Dr. Zamora will check in with you after your surgery. Patients are provided with special compression garments to help their skin conform to their body’s new contours. A short period of rest (typically 12 hours) is recommended, followed by two to three weeks where strenuous activities should be avoided. Results begin to appear immediately after the VASER® Lipo procedure, and continue to improve with time as the tissues in the treatment area heal. Final results are typically seen in about three to four months. 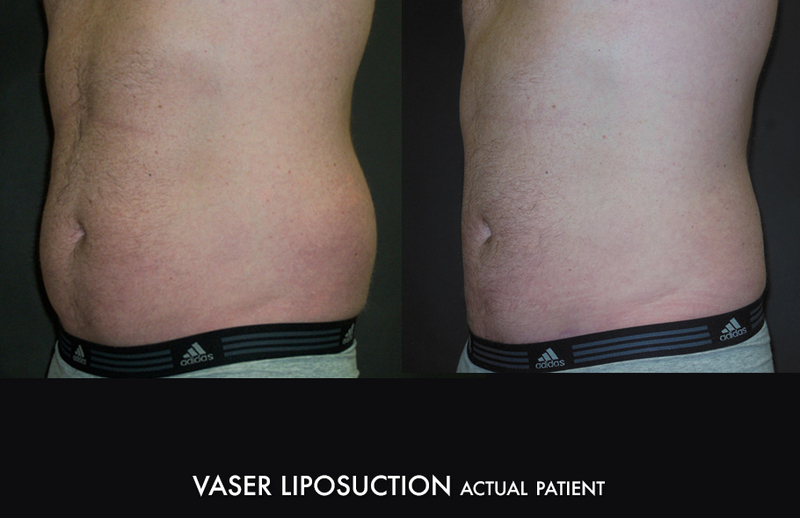 Schedule a complimentary consultation for your VASER® Liposuction treatment today!